The magazine comes out once every two months and is widely read by people who are highly passionate and enthusiastic about sewing. It is a perfect forum where expert sewers can meet enthusiastic sewers. Beginners, professionals and seasoned sewers can hear each other here. The magazine provides all information in detail that is required for sewing. From the kinds of fabrics one can work with, to the different fits and fittings possible, expert tips on how to get the best of of a design and the fabric, latest designs in fashion, all this and more is in these lovely pages. Fashion gurus and professional designers share the new and the latest designs, their tips and tricks. Follow the easy to follow guidelines and steps and surprise yourself with the perfect piece of garment. Not just clothes and fashion, but redecorate your house and your life with the colorful accessories. Each page has a new surprise, things you never knew you could make. Excellent magazine, I’m really looking forward to the next issue arriving. love this ,the best sewing magazine available,lots of inspiration,and so much more than the average beginners and basic sewing intructions. 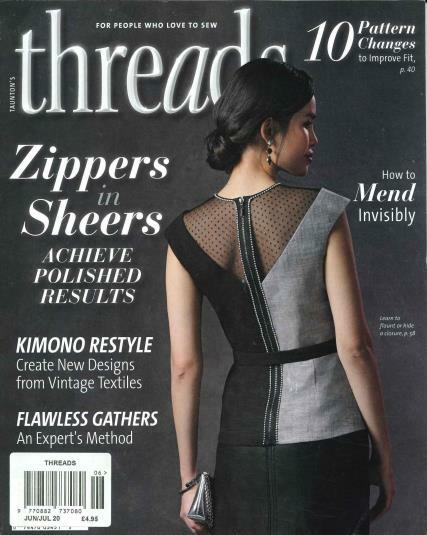 The best magazine for sewing fanatics! !